I had a blast attending my first Disney on Ice show and presentation with my daughter last year! I had great up front tickets and the pyrotechnics, costumes, acrobatics and more were absolutely AMAZING! They are a must -experience event in my opinion. Disney on Ice presents Mickey’s Search Party s is coming to EagleBank Arena from October 3 – 7. Enter below to nominate a parent with a child who would love this experience. I’ll pick a winner tomorrow at midnight! Good luck! Enter below! Many ways to Enter! 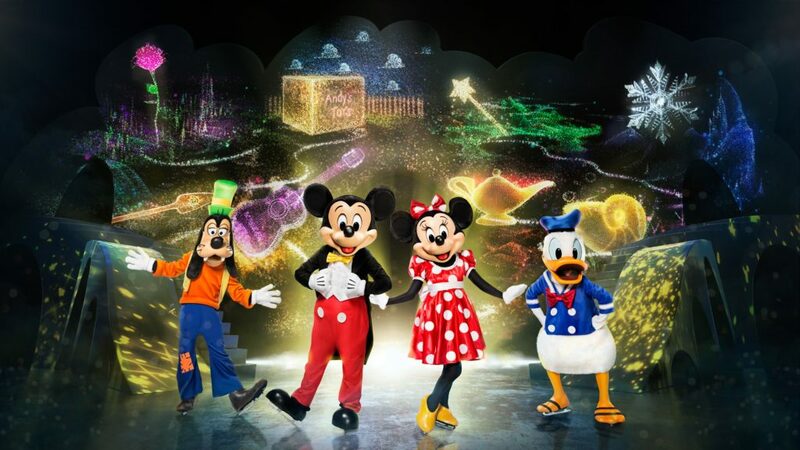 Win Disney On Ice Mickey’s Search Party Tix! In the meantime, you can download a coloring sheet for the show HERE! « Get Jennifer Lopez’s Cutest Hot Mom Casual Looks!